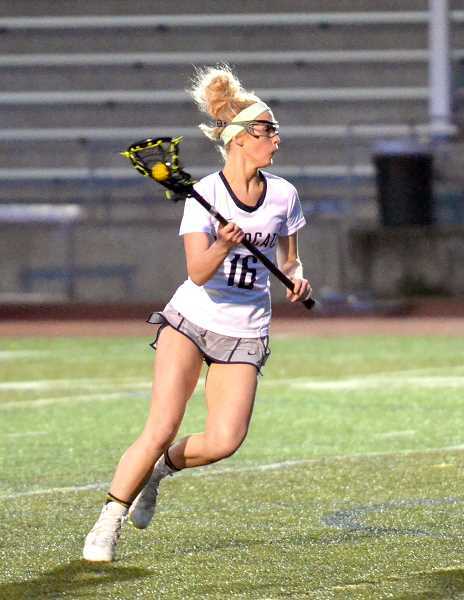 It was a difficult night for the Wilsonville girls lacrosse team on Friday, April 5, against the visiting Lake Oswego Lakers. Wilsonville was blasted 17-3 over the course of the game. The team managed just 15 shots on goal, with eight of those shots coming from Avery Lanz and Brooklyne Waddell. Two of the team's three goals came from those players, with a third coming on the lone shot from Kylie Hix. Wilsonville has struggled to get victories this season, going 1-6 overall. The team's lone victory came in an 18-17 win over Oregon City on Monday, April 1. In that game, Lanz had a standout performance, netting nine goals on 13 shots, and getting an assist to boot. Brooklyne Waddell had four goals and four assists on the night, and won six ground balls as well. The team looks to rebound against St. Mary's Academy (4-1) on Monday, April 8.